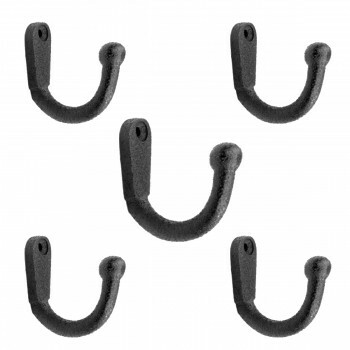 (5) pieces Wrought Iron Coat Hook. Our Coat Hook is most popular in entryways for coats, on bathroom doors for towels and robes. Our exclusive RSF coating protects this item for years to come. They look fantastic in either a contemporary bath and kitchen or Victorian Hallway. 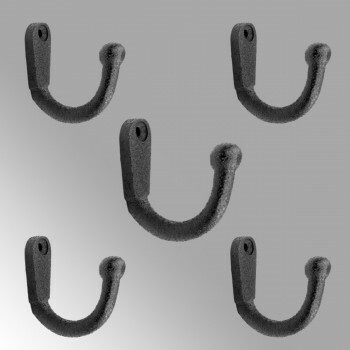 Crafted of hand-forged wrought Iron. Includes antique style slotted pyramid head screws.